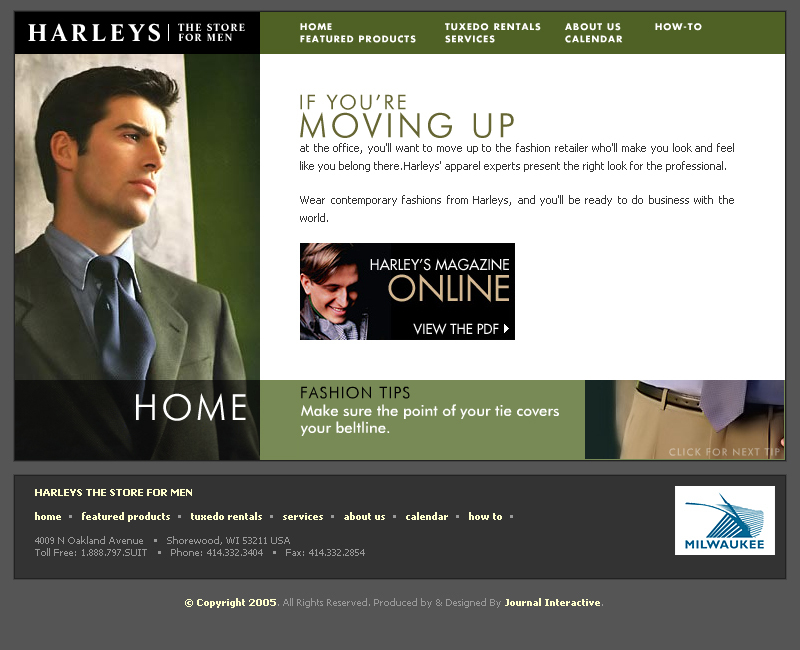 Harley's 4 men is an upscale men's clothing store in Milwaukee, Wisconsin. Besides the web pags, I also created tutorials such as "How to tie you tie" and "How to fold a handkechief" -- both of which I thought the knowledge of which could be quite handy. I derived colors for the site from image sampes of various textiles. Roles: Web development, user interface design, mockups, animation, illustrations.